British authorities can sift through electronic documents seized from journalist Glenn Greenwald’s Brazilian partner, in the interests of “national security”, a court ruled on Thursday. The “highly sensitive” material could risk lives, said UK police. Two judges gave authorities until Aug. 30 to analyze “ thousands” of documents, according to a police lawyer. “The home office and police now have seven days to prove that there is a genuine threat to national security, rather than make mere assertions as they have done today,” stated lawyer Gwendolen Morgan after the ruling was passed. Late on Thursday afternoon, London police announced that the data which had been seized includes "highly sensitive" material, the disclosure of which "could put lives at risk." As the ruling was made, the judges said that UK authorities would be able to examine the confiscated information for the purpose of investigating whether Miranda is a person who is or has been concerned with the commission, preparation or instigation of acts of terrorism, alongside “national security” defense reasons. However, the ruling fueled further concern about journalistic freedoms worldwide and especially within the UK justice system since the widely-debated introduction of 'secret courts' in April. 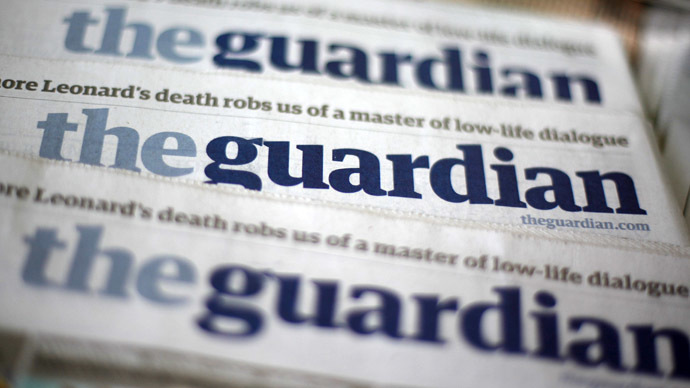 The Guardian newspaper took the case to court on Thursday to demand the materials seized from Greenwald’s Brazilian partner be protected by injunction. “Confidentiality, once lost, can clearly never be restored,” said Morgan in a statement. Lawyers requested that the High Court stepped in to prevent the British government from “inspecting, copying or sharing” the data they confiscated from the journalist, who had been involved in releasing some of former NSA contractor Edward Snowden’s documents. They have asked that the injunction be in place “until the legality of that seizure has been determined by this court”. 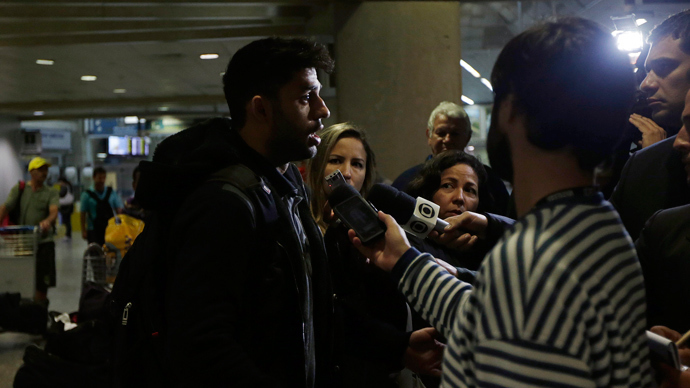 The 28 year old David Miranda, a Brazilian national, was detained for nine hours last Sunday under Schedule 7 of the UK’s terrorism act when he arrived at Heathrow Airport in transit to Berlin. Electronic materials – including computers and memory sticks - were seized from him and he was threatened with prison if he did not cooperate. The court heard that around “tens of thousands of highly classified documents" had been taken from Miranda. Matthew Ryder, QC, who represents Miranda requested that police reveal with whom they were sharing the information that they had obtained as a result of Miranda’s materials being confiscated. The Met police declared on Thursday that they have already opened one criminal investigation as a result of the seized material. However, further details as to whom and why have not yet been provided. “If interim relief is not granted, then the claimant is likely to suffer irremediable prejudice, as are the other journalistic sources whose confidential information is contained in the material seized,” Morgan said, adding that the purpose of the proceedings was to protect the confidentiality of the materials seized by the UK government. Morgan pointed out in a witness statement made on behalf of Miranda that Schedule 7 had been invoked “for an improper purpose and was therefore unlawful”, and the decision to use it ran contrary to the European Convention on Human Rights.